It may be hard to convince the fam to spend a holiday in the great outdoors. Trading comfortable beds for sleeping bag? Really? Tell the clan to rest easy—there’s a way to holiday with Mother Nature that doesn’t involve sleeping under a crackling tarp amongst a nest of furry local creatures. That’s where lastminute.com.au comes in. 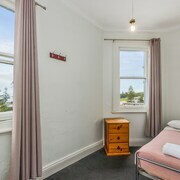 Our Kiama budget cabin stays are exactly the foray into nature you need—without worrying about a possum climbing all over you while you sleep. 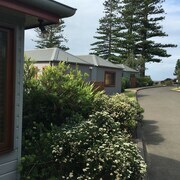 Looking for a mountain cabin in Kiama? We have them in every shape and size. If big and fancy isn’t your style, book one of our more modest cabins—fewer things for the kids to break in one of these. Either way, you and the rest of the Wild Bunch won’t have problems finding fun in Kiama. Go on, sip a hot cup of coffee to kick off your day. Then go hiking or biking, and get to know all the coolest parts of Kiama. Remember to bring your camera along—you’re surrounded by gorg wildlife, and your social media feed won’t update itself! 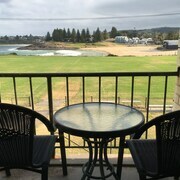 lastminute.com.au has the best deals on cheap cabin accommodation in Kiama. Browse. Click. Book. That’s all it takes for your holiday dreams to come true. Old style pub in need of some tlc. Clean sheets but donnas could be better and walls peeling. Right in the centre of town. Great get away. 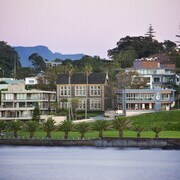 Great location central to a Kiama. Just a bit noisy with a garage located next door. Staff were friendly.